Maximize your home players for the rest of the season (Weeks 21-36). So if you follow us on Twitter, you may have noticed that we promised something special since we were not able to post a lot over the past two weeks. This is that post. 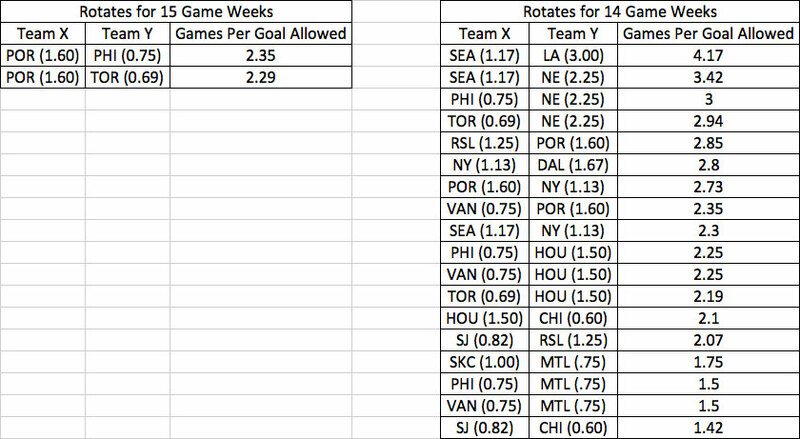 Since the second Wildcard is now available (Week 21-25), we know some people will be overhauling their teams. As you’re doing this, you’ll wan to keep an eye on how some of your players rotate, especially Defenders and Keepers. 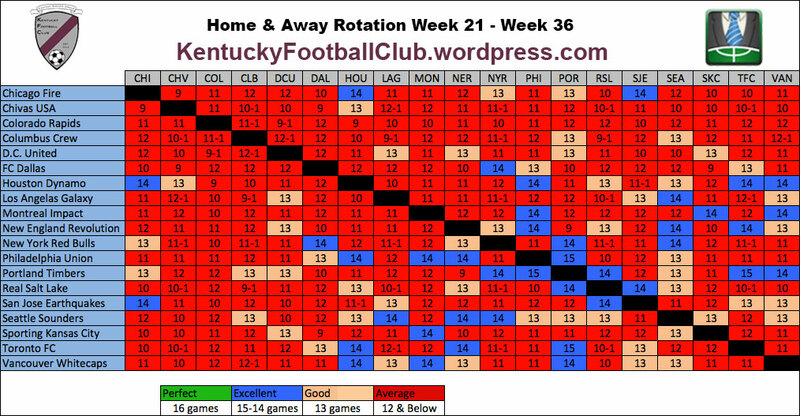 We’ve made a chart to help you identify the teams that best rotate Home and Away games. Keep reading to see the chart and get the breakdown or the best pairs. Here’s the chart. The numbers tell you how many game weeks you will be able to play a Home player if you have players from team X and team Y. If there is a -1 next to the number, that means those two teams have 1 overlapping bye week. Now I know that this will mostly be helpful for picking defenders and keepers, so here’s some additional stats that you might want to keep in mind. All number are as of Week 21. This picture is a chart that is Defender and Keeper specific. It ranks team pairs by their total average of home goals allowed. Just a quick note. It is possible to have perfect rotation, but it depends on when you use your wildcard. If you want some more tips about keepers, check out another recent post by one of the top players in FMLS and another moderator at r/FantasyMLS. Well, I hope this information helps you with 2nd Wildcards, or general planning for the rest of the season. Also, I hope it makes up a little bit for the lack of posts last week. If you have any questions or want to add something, please leave a comment or come to r/FantasyMLS. You can also leave a message on our Facebook page or you can find us on Twitter @FantasyMLSTips. Keep checking back for more updates through the week for other positions. I love this post. I’ll most likely use it a lot. Thanks!